Reception as a full member in the Fellowship of Saint Benedict takes place in an “Act of Profession” . This ceremony takes place at a Sunday morning Eucharist in the home parish of the new member. At the service the new member recites the Act of Profession, signs the certificate, and places the certificate on the Altar. 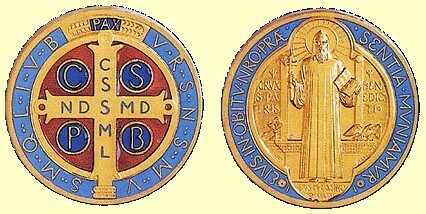 He or she is then given a Saint Benedict medallion, and receives the blessing of the Fellowship Director, or in his absence, the Rector of the parish. A copy of the certificate is kept by the individual member, and duplicate copies are deposited with the Fellowship Director and in the Diocesan Office.